Gómez, G. Some theoretical thoughts when using a composite endpoint to prove the efficacy of a treatment. A: International Workshop on Statistical Modelling. 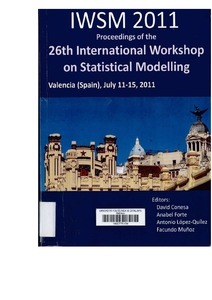 "Proceedings of the 26th International Workshop on Statistical Modelling". València: 2011, p. 14-21.